Teaching With Heart: 100 Items for $1.00! Happy Sunday, everyone! I have a love-hate relationship with Sundays. I love that I spend the first half of my day still in my pi's catching up on the blogging world, making products, and finishing up my plans for the week. But, I HATE the lingering feeling that Monday is coming and I can no longer sleep without an alarm set! 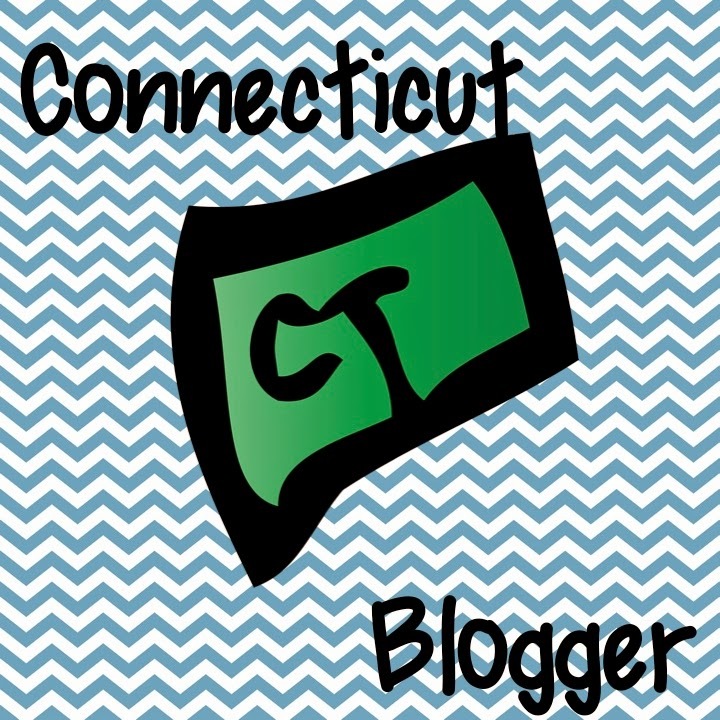 This Sunday is extra special, however, because it is one of my fellow blogger's birthdays! 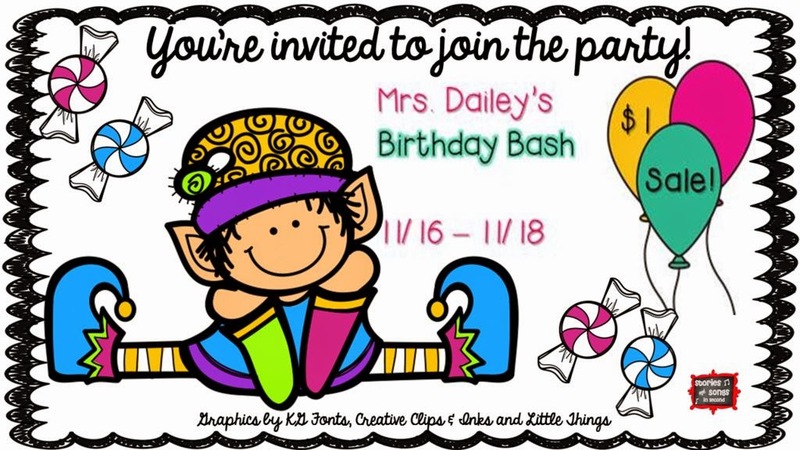 Mrs. Dailey over at Mrs. Dailey's Classroom is throwing a humungous birthday bash to celebrate her special day! 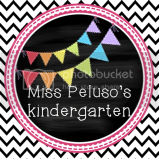 I am helping her celebrate along with 100 other teacher-bloggers by placing 3 of my favorite items on sale for $1.00 today through Tuesday! Here's a peek of the three products that I've linked up: 1. My most wish-listed item. 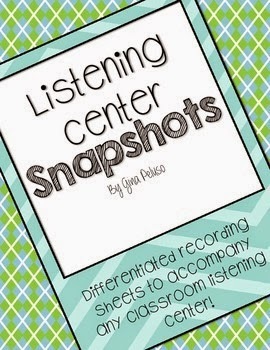 You can never have enough differentiated listening center response sheets! 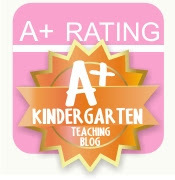 These are a lifesaver for me, because they can be used with ANY book at ANY grade level! Just print, copy, and go! 2. My newest seasonal item. This item has been a hot ticket in my store since I've uploaded it to TPT. 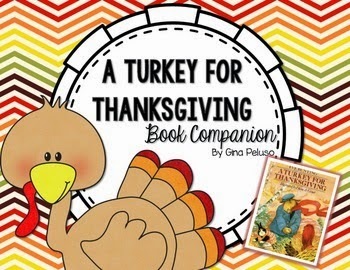 A Turkey for Thanksgiving is one of my absolute favorite Thanksgiving books to read to my kiddos, and now I can use this book to practice the reading skills that we are focusing on for this reading unit. I am using this book companion this week and next, and I can't wait! 3. The item that I've used most in my classroom this year. 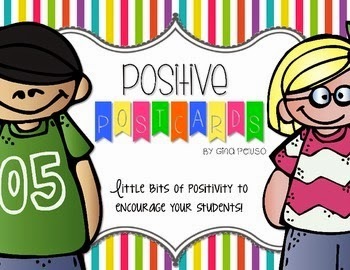 I don't get a chance to make as many positive phone calls or send as many positive emails as I would like, but Positive Postcards makes it super easy for me to send home that little bit of encouragement with my students. Don't miss out on the great steals below! I know I've already filled up my shopping cart! Enjoy the rest of your Sunday, and try not to dread Monday too much! Cyber Monday Special Blog Deal! What's Better Than Making Butter? All I Want For Black Friday Linky and Giveaway! It's a Turkey Product Swap & Giveaway! Life Is Good.. Find Out Why! Holidays Around the Blog Linky & FREEBIE!